What does ‘out of fragility’ and ‘conflict-sensitivity’ mean for programming in Democratization, Decentralization and Local Governance? Together with the CHR network, DDLG takes up this question in its 2017 Learning Journey on ‘Governance in fragile contexts’. The overall aim is to capitalize on experience from DDLG programs in fragile contexts through collaborative learning and knowledge sharing, to establish shared understanding on possible approaches and guidance on the planning, implementing and monitoring of DDLG programs in fragile contexts. What is it that interests us in the Learning Journey? The paper reviews an emerging body of literature on the design and evaluation of current or recent governance interventions in countries with ongoing violent conflict, recovering from conflict or at serious risk of conflict. The review focuses on three broad intervention areas. The first includes interventions that support local governance and the improvement of local capacity for collective action. The second area comprises interventions that strengthen the accountability, legitimacy and reach of state institutions, including improvements to information and the provision of public goods and services. The third centres on interventions aimed at changing social rules and norms that shape systems of governance. A number of ways forward are proposed for future research and policy interventions on governance in conflict-affected countries. These include: the need to better understand the political dynamics of conflict-affected countries; the importance of internally driven governance reforms; the need to take better account of the distributional consequences of governance interventions; and the role of multi-level approaches to governance in countries at risk of conflict. In this scientific article in the International Political Science Review the two researchers look into the question of how local elections might be utilized during decentralization reforms. Although many African governments introduced provisions for subnational elections in the early 1990s, there is variation in the extent to which these reforms were implemented and sustained. The inductive analysis of three post-conflict cases — Angola, Ethiopia and South Africa — suggests that one way of explaining this variation is elite discontinuity when an insurgent group wins power in the aftermath of conflict. Systems of subnational elections adopted by new governments with an extensive social base derived from an insurgency, as in South Africa and Ethiopia, have proved relatively robust. By contrast, in Angola, where there was no change of executive power after the conflict ended, routinized subnational elections have not been implemented. The identified causal mechanism is that, for the new governments in the first two cases, subnational elections served as opportunities to mobilize party support and to consolidate control by sidelining local elites aligned with the previous regime. This report provides new insights into Local Administrative Councils (LACs) in five case study areas in opposition-held Syria. It explores their evolution, practices and influence and the way that they are perceived amongst citizens in the communities in which they exist. LACs constitute key institutions in service delivery in opposition-held areas in Syria. In some locations they also fulfil, to a certain degree, other governing functions such as collecting revenues and running the civilian registry. The majority of LACs grew out of popular mobilization efforts following the 2011 uprising, with the first known LAC starting in 2012. Initially they began as relief agents and evolved over time, attempting to fill the vacuum left when the Syrian government retreated from certain areas of the country. The relationship between governance and development, as well as between fragility, conflict, and ‘good’ governance, is subject to considerable debate. 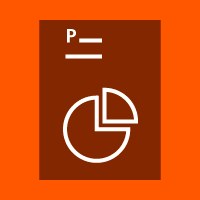 One of the challenges to cumulating knowledge in this area is the considerable confusion in the literature over basic issues of definition and measurement, as well as causality. This conceptual confusion poses significant problems because donors have varying ideas not only about how best to design and implement reforms, but also about what constitutes success, as discussed further below. Focusing on this conceptual ambiguity, the position paper argues that future research should focus more on disaggregated analysis of various components of governance, rather than on ‘good governance’ as a whole. This position paper therefore disaggregates interventions in economic governance and public sector management and highlights three key areas in which major work remains to be done: taxation, regulation, and public sector management. It then focuses on key issues of political governance and fragility: democracy assistance, human rights, the rule of law, and fragility. 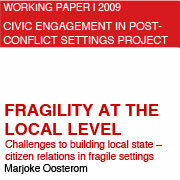 This paper is an introduction to available literature on local democratic governance in fragile settings with an emphasis on contexts marked by protracted violent conflict. 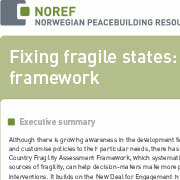 In this paper the term ‘fragile settings’ is used as it covers fragile states as well as regions within countries that experience state fragility. Section 2 introduces the challenges to local governance in fragile settings drawing on three debates; fragile states and state-reconstruction, decentralisation, and participatory governance. Hereafter three thematic issues will be highlighted; legitimacy problems of local governments (Section 3), the tension between formal and informal governance institutions (Section 4), mechanisms for accountability (Section5), and challenges and opportunities for citizen participation (Section 6). These issues will feed into further thinking about the role of civil society organisations in (re)building local democratic governance in Section 7. One of the first research studies departing from the people’s vision and understanding of what ‘the state’ means to them: The report is an attempt to re-focus attention onto Somali citizens and elevate their governance and reconciliation needs within the current political and statebuilding processes. The reports adds renewed urgency to the issue of political reconciliation and the resultant accommodation of various political stakeholders into a new regional government. This briefing paper summarises findings from the publications of SLRC South Sudan over the life of the programme. It has been working since 2012 to identify and understand the realities of livelihoods, access to basic services, and perceptions of governance in post-independence South Sudan. 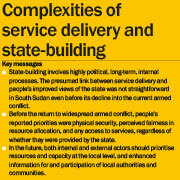 In 2013 SLRC conducted research in Uror, Nyirol, and Pibor counties to examine the dynamics of service delivery, state-building and livelihood changes in the context of armed conflict and raiding. Following the outbreak of large-scale armed conflict in December 2013, the research was adjusted to reflect the shift in the focus of aid towards humanitarian action. Although there is growing awareness in the development field of the need to better assess fragile states and customise policies to their particular needs, there has been limited progress in these areas. 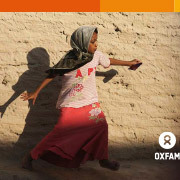 The new Country Fragility Assessment Framework, which systematically examines the societal and institutional sources of fragility, can help decision-makers make more precise diagnoses and better target interventions. 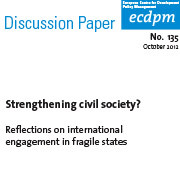 It builds on the New Deal for Engagement in Fragile States, but offers a more comprehensive framework to assess the forces that can drive a society together or apart. It does this by analysing 12 societal and institutional sources of fragility. The combination of poor social cohesion and poor institutionalisation yields a vicious cycle as instability and underdevelopment feed each other. 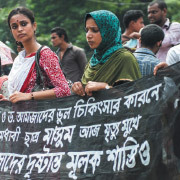 Social divisions hamper efforts to improve governance and foster economic opportunity, which in turn create discontent and a zero-sum struggle for power and resources. As such, change must target one of these two elements. Even though the framework does not directly provide solutions, it can be used to suggest policy options that are most likely to work, or at least rule out some that will surely fail. The paper reviews an emerging body of literature on the design and evaluation of governance interventions recently implemented or ongoing in countries with ongoing violent conflict, recovering from conflict or at serious risk of conflict. 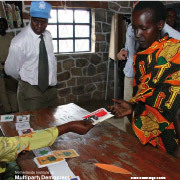 This NIMD (Netherlands Institute for Multiparty Democracy) publication provides a brief overview of the lessons learned in the field of democracy assistance in post-conflict societies in general and of political party assistance in particular. Whereas international donor agencies provide substantial support to elections, civil society development, state-building and other aspects of post-conflict democratization, political party assistance has often remained limited. However, international donors seeking to support the democratic transition of fragile, post-conflict states cannot avoid engaging with political parties; political parties are often part of the problem, but in any case part of the solution as well. This guide is based on work by the Institute of Development Studies (IDS). 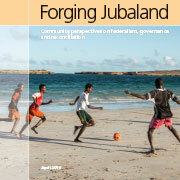 It draws on power and political economy analysis, and other research, undertaken in Rwanda, Myanmar, Yemen and Angola. 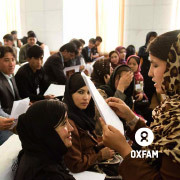 The guide is written for Oxfam Country Directors and Programme Managers and aims to provide practical support in the design and management of governance programmes. 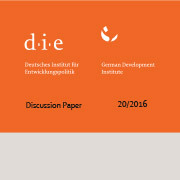 It provides guidance on how to identify where power lies, both ‘within’ and ‘without’ the state (ie armed actors, religious groups, economic interest), and points to the need for continued analysis across all levels of governance (local, regional, national) to identify entry points, windows of opportunity, and strategies for change. 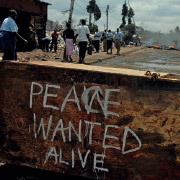 Civil society in fragile states is often polarised, reflecting existing fault lines in society that often contributed to the history of conflict, or widened because of it. The political and legal environment in which civil society operates is often fairly closed to active participation, and states tend to lack responsiveness to demands made by civil society. In particular in Africa, the political space for civil society is shrinking, and is considerably smaller today than in recent years. Civil society in many of these countries has a weak capacity to proactively engage in policy analysis, to accurately aggregate citizens’ perspectives, to effectively participate in strategy formulation and to monitor policy implementation – in short, to hold the state to account. In addition, its administrative, fiduciary and reporting competencies are often low, particularly relative to donor requirements. 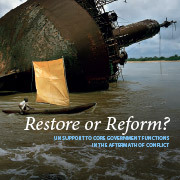 Unfortunately, it is exactly in this sphere of participation and state-society relations where the international community sees important roles for civil society, and where it relies on civil society to provide the necessary counterbalance to approaches that would otherwise be overly reliant on the perspective of government actors. The briefing is designed principally for policymakers working to support development in fragile states. 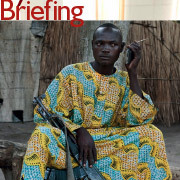 It draws on and summarises some of the conclusions drawn from earlier policy briefings published by BBC Media Action on the role of the media and communication in four fragile states – Afghanistan, Iraq, Kenya and Somalia. 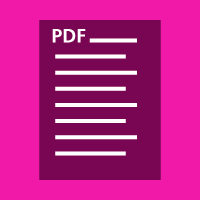 The central section (pages 14–28) provides a summary of each of these briefings. The rest of the document seeks to draw some insights and conclusions from this and other BBC Media Action research and experience relevant to fragile states. 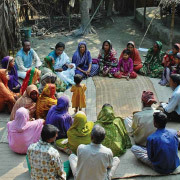 This booklet reflects the experience of the Within and Without the State (WWS) programme, and offers key learning for those working in the area of governance programming in fragile contexts. It outlines a variety of approaches to governance programming in the WWS focus countries of Afghanistan, Occupied Palestinian Territories and Israel, South Sudan, and Yemen. It shows that effective governance work IS possible in fragile contexts – and that it can achieve change. It demonstrates that working with civil society is an appropriate entry point but, beyond this, that empowering civil society actors to engage with duty-bearers is essential to achieving good governance and accountability. VNG International’s presents its approach in this report in to supporting LGAs (Local Government Associations) in various stages of the fragility circle, differentiating between the basic conditions that need to be established to ensure LGAs’ operational sustainability and credibility, and the targeted support to LGAs to enable them to exercise their role vis-à-vis other government layers and the international community. They depart from the assumption that LGA’s are highly relevant for an out of fragility approach because of an unwilling and/ or incapable central government, and an ill-equipped local government. 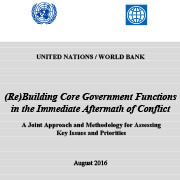 The purpose of this document is to provide governments and donor partners with an overview of key issues for assessing and supporting core government functions in the immediate post-conflict period. 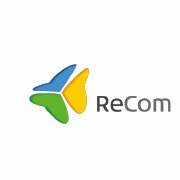 The framework covers the following areas: context, including capacity, politics and security; executive coordination at the centre of government; public finance, covering revenue and public expenditure management; government employment and public administration; security sector; local governance; and aid management, financing and donor relations. 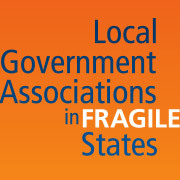 This paper provides a systematic – and systematising – overview of the challenges surrounding the promotion of decentralisation and local governance in contexts of fragile statehood. Based on a review of the available literature and on a series of interviews with development cooperation practitioners, the paper discusses the risks and opportunities and develops suggestions on how development cooperation can better rise to the challenges. The Guide is primarily meant to support UNDP Country Offices in countries considered as fragile or already affected by high levels of violence, instability and/or conflict (including post-conflict countries). 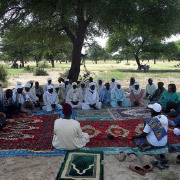 The Guide can help these Country Offices define strategies, umbrella programmes and projects that more effectively help realize the potential of local governance for peace and recovery. To this end, the Guide provides concrete programmatic recommendations, a framework for action, toolkits and UNDPspecific management advice. Yet, as the Guide starts with proposing a theory of change to address the fragility and local governance nexus, it can also be useful to policy specialists outside of UNDP, in development agencies or partner country institutions. This strategy outlines the contribution of SDC to peacebuilding and statebuilding in contexts of fragility and conflicts. It spells out the strategic principles, thematic priorities, working modalities, institutional set-up and aid modalities that guide the work of SDC and its partners in these contexts.